Today, online ads get more and more annoying, which spoils everyone’s browsing experience. Almost every major website in invested by ads: Facebook, Google, YouTube and many others. Also, new obtrusive forms of advertising are being introduced: video ads are one of the latest obnoxious trends in advertising. However, there is a very simple and quick way to get rid of all annoying ads. We have written earlier on how to block flash content in the browser. Step 1: Please go to https://adblockplus.org, which is the official website of the extension. Step 2: Hit the big green “Install” button, which will download the extension and install it in a few seconds. (Please note, you will require Firefox/Chrome/Opera, if you do not have one of these browsers, please install this first). After installing the extension, no configuration is required – all annoying ads will be blocked automatically. Adblock Plus blocks ads using filterslists, which include a large set of rules that tell the extension to block certain elements. These filterlists are constantly maintained by a vast Adblock Plus community, which will ensure that all the latest ads will be blocked too. Also, there is a wide choice of local filters, which block ads on local websites, as well as an option to create custom rules for blocking of whitelisting any elements. 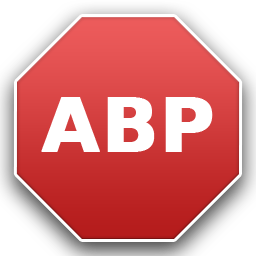 For more advanced information about Adblock Plus, please go to: http://adblockplus.org/en/tutorials. Getting more people to visit your blog is quite attainable but making them a regular visitor of your platter might not seem that easy. For that you need to play the trick, you need to lure them. The underlying idea is simple you reward your visitor with something when he comes, and if the reward seems to be interesting enough he’s bound to bounce back for more. Now it comes to the rewards and I am pretty sure there are hundreds of options, including party casino and other goodies. The installation is fairly simple on most of the platforms including Blogger and WordPress. 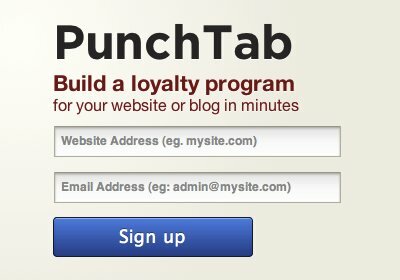 after installation a “Rewards” tabs appear in your blog which when clicked by the user opens up a dialog offering the rewards. You choose where to keep that button and you choose your own rewards. Choose or make your rewards, set the number of points needed and you’re done! You can also offer a one-time give away offer to your readers. The last step is copying the generated code snippet and pasting it in the HTML mode of your blog post. Try this now, Click here! 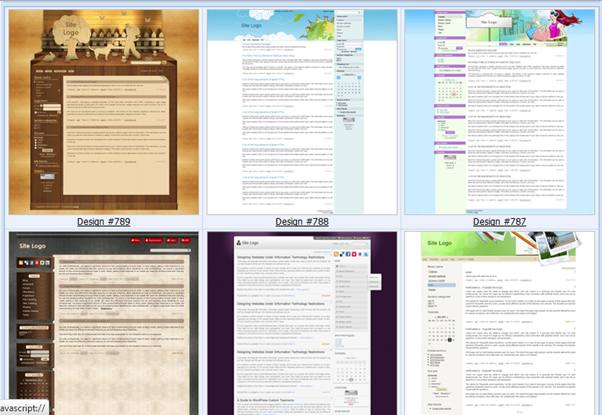 uCoz is a free to use web service that offers anyone with building a website. 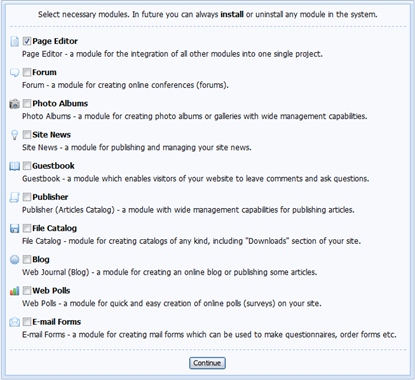 You can start from a basic website and continue to add more features from the pre build modules. The website offers free hosting for all content build on their platform and No professional experience is required in web designing. After you have successfully completed your registration and after you have verified your email, you will be provided with a CMS panel where you can access your free website. You can even buy a custom domain name from uCoz or use your existing domain name to point on your uCoz website. Talking about the power control panel, the interface is user friendly where you can choose various modules on your website. You can choose from over 250 templates to use on your website where you have the power to edit CSS for your template and customize it to the fullest. Exciting tools like RSS Import, backup and file manager are added features. With uCoz, you get added features. With uCoz, you get a practically unlimited storage, it starts with 400MB but keep on increasing as you go on. You have full control over domains and your control panel. That means you can simply go and edit all you records and manage your domain with other service providers. So, go ahead try all this wonderful free stuff, log on now, to uCoz, and create your own website for free. General-Files.com is one of the finest web services offering file sharing features. Its huge database of songs, movies, presentations and numerous other free files will surely help your way. The fast and simple to use File Sharing Search enables you to index and upload files up to 4GB. You can all types of personal files with a large number of formats supported for indexing and storage. 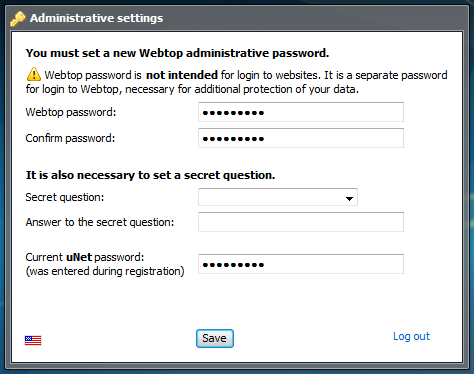 The database is fully customizable and you can quickly remove unused or duplicate files to give it a clean user interface. The efficient and powerful search engine helps you locate and download your file even if you forget the download URL unlike many other popular file storing websites. You can not only upload files from your hard drive but can also download millions of user upload(s) every day. You can download free video(s), mp3(s), software(s), files and other documents. The power search filters helps you get the desired file precisely and quickly. 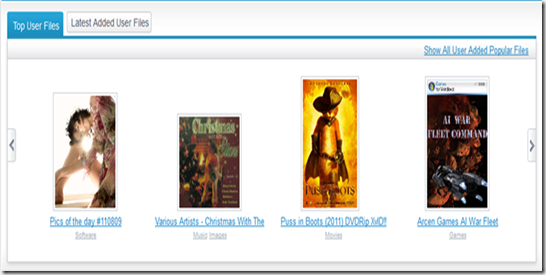 You can view the top downloads and the recently added files right on the front page of the website. You may also like to utilize the large user base of the website to advertise your products by uploading a demo version of your file and making other users crave for more. The friendly search engine will help you spread your product with millions every day. You can also subscribe for specific alerts. Suppose you are looking for a particular file which is not available at the moment, then you and subscribe for email alerts for that particular keyword. The automated system will inform you when your desired file is available for download and you can then download the same at your wish. Go ahead, try the amazing service now, click here. A picture is worth a thousand words, and video certainly millions but what if those million words don’t fit in your player or device. Here is a fast and awesome software that will help you solve this problem with utmost ease. Movavi Video Converter is fast, easy, reliable and feature full all video converter. 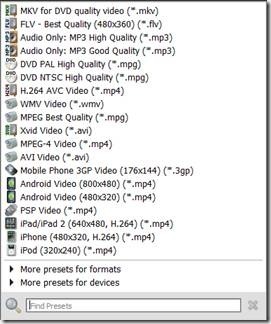 Movavi Video converter is a fast and powerful video converter that can able to convert video formats like .avi, .mp4, .flv, .mpeg, .3gp, .mkv , .m4v, .vrp, .wmv, .vob, .dat, .mpg, .mod, .ifo, .asf, .swf, .qt, and many more. 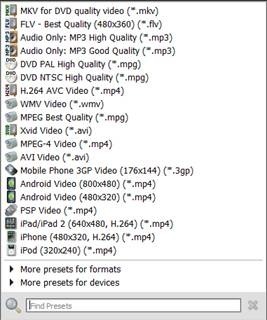 A huge list of preconfigured devices including Apple iPad, iPhone, iPod, Nokia, HTC, Blackberry, Samsung, Android phones, Amazon Kindle, Dell and another 200 devices converts videos that suit your device and that too without losing the video quality. The software is fully featured and can easily grab and extract video from your video files. You can even choose the output format for your audio file. Few of those video formats include .mp3, .wav, .wma, .ogg, .aac, .flac, etc. What’s More? The smart video converter comes with a host of other features. You have the power to edit and amend your videos before you use them. Whether you want them sell or share with your friends on facebook or youtube. You can split, add, divide, apply filters, rotate and add watermarks. The converter uses NVIDIA CUDA technology to speed up the conversion of your video. Try all these awesome features today of Movavi Video converter . According to Wikipedia, “Usenet is a worldwide distributed Internet discussion system”. In today’s world when the internet is no more a reliable source of information and no options to validate the authenticity of the information provided, UseNet or User Networks tend to be an efficient method to share and discuss about the information you really care about. The Usenet is a worldwide exchange network where you can discuss your part of information and share media with people of common interests. However, an Internet connection is required to access the UseNet. With time, UseNet has become very easy to use since there are plenty of providers available with excellent services trying to secure the custom of users by offering simple and convenient access. There are numerous web services and software(s), which simplifies the task of searching and downloading files from UseNet. Here with this post we will talk about a few of them. Probably the largest, oldest and best UseNet provider, UseNeXT is a free software available in 9 languages. UseNeXT with its international placement has 8 server farms worldwide. It provides a 24hr telephone and Internet support and is encrypted with 256bit SSL encryption. This Dutch looking service is among the best UseNet providers available in the market. The software is available in 3 languages German, French and English. It features upto100 MBit/s download, 600days retention time, SSL encryption and a 24hr support. You can have a look at this provider comparison to choose the right provider for you. If you share files often with your network and were searching for alternatives with lesser spam and easier interface, then Minus.com is probably one of the best methods available today. It gives you drag and drop interface to share files. Since you need to register before you can share any file, it gives certain assurance of lesser spam. With the motto, “share simply”, the site indeed gives you the option to simply share your documents, photos and videos in seconds. Just choose a username and enter your email to start sharing.? After Sign Up, share your first file, just drag and drop! And believe, it all happens in seconds. The file once uploaded, Minus.com gives you the link for sharing. For image sharing, it gives gallery link, image link, forum code, HTML code, direct link and thumbnail link, while for video sharing it gives embed code, URL of video and download option. However, it doesn’t works with files more than 10MB in size. Everdroid is a free web service that lets you backup and synchronize your Contacts, Calendar, Notes, Tasks, SMS Text Messages and Bookmarks from your mobile device to Everdroids’s web server. The free service uses your phone’s SyncML feature. Everdroid offers a lot more on native Android devices. Everdroid is available as a iPhone and Android app that automates the process making it even more easier. The service is easy to use and supports all major mobile devices. You can even edit your data on the online interface easily and then get them back on your device. Everdroid also supports Google and facebook contacts. You just need to grant it the required permissions and your Google and facebook contacts. It also works with Google Calendar so that you never miss those important appointments again. In short, it is Simple and Convenient. Are you the one who loves downloading stuff? If yes, then let me tell you we are offering an absolutely free Usenet accounts giveaway to our loyal readers of blog. This Premium Usenet accounting featuring 50 GB of high speed downloads without any expiration date is being sponsored by Binverse. Binverse provides a downloading software for Windows as well as Mac, you can get more details from here. You don’t have a twitter account..? Don’t worry., just follow us on Facebook, and share this post publically on your facebook wall. So.., hurry up! and keep enjoying the festive season.! Author Prateek SinglaPosted on October 15, 2011 Categories Contest, Freebies, GiveawayLeave a comment on Free Usenet accounts giveaway!! You might have come across a situation when your ears perceive a nice piece of music but your brain refuses to recognize the same, even after running series of online searches the song is nowhere found. Here’s a solution, SoundHound. Available for iphone and android and Ovi, this powerful app searches for songs just by listening a part. The results are amazing, precise and it returns you with a list of available download links as well the song lyrics in most cases. Another feature that this app also has is that it can find a Youtube video on a click of a button. In addition the app features latest chart busters and current favorites. The app enables you to share the song, bookmark it or even buying is possible for a number of tracks.